We think that the easiest way to find your way around a city is to choose a centre point and then divide the city into smaller districts. 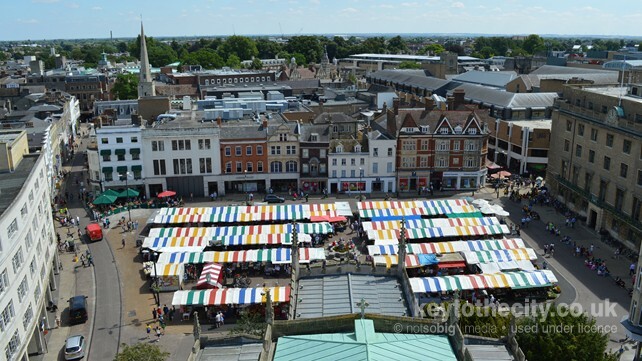 For Cambridge our centre point is Market Square which is located between King's College and Sydney Street. From here you can get to anywhere in the city centre within ten minutes. We have divided Cambridge into four districts, and each district is divided into smaller chunks too. The areas are: the City Centre, compact with many of Cambridge's main attractions including the University and River Cam; the Inner City, home to Cambridge's East Road and Chesterton areas as well as Cambridge Railway Station; the Cambridge Suburbs, the outskirts of the city with good motorway access and ideal for business travellers; and finally Cambridgeshire, for trips into the countryside and nearby towns including Ely. This is the very heart of the city and home to the historic colleges of the University of Cambridge. Shops can mainly be found on Sydney Street and Petty Curry. Parking is limited and can be very costly. Just outside of the city centre is Cambridge's residential area. As well as the local shopping area of Burleigh Street /East Road, you can also find traditional guest houses along Chesterton Road. The distance to the city centre from this area is a ten to 30 minutes walk. Areas in the suburbs of Cambridge include Orchard Park in the north and Cambridge Leisure and Cherry Hinton in the south east. Map showing our centre point for Cambridge. Use the links below to view Cambridge on popular mapping websites.